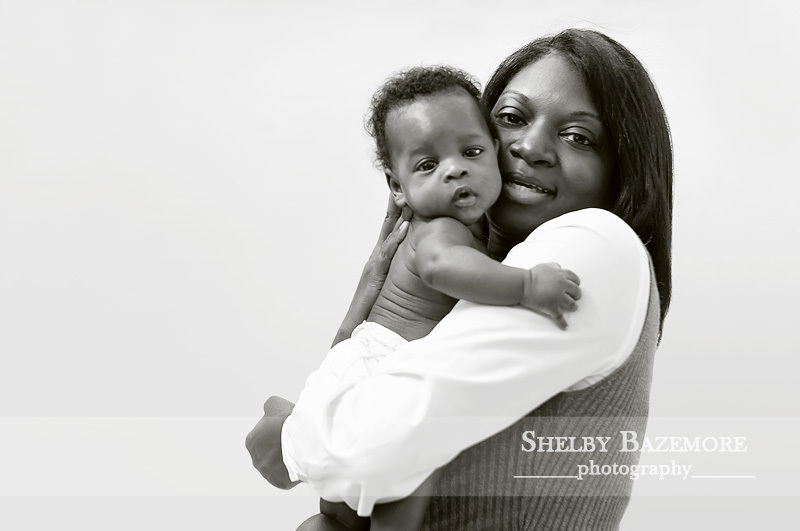 It’s hard to believe that I did Super Baby G’s newborn session almost a whole yr ago. Time sure does fly. Super Baby G’s nursery theme was Super Heros and He is indeed a super little boy! 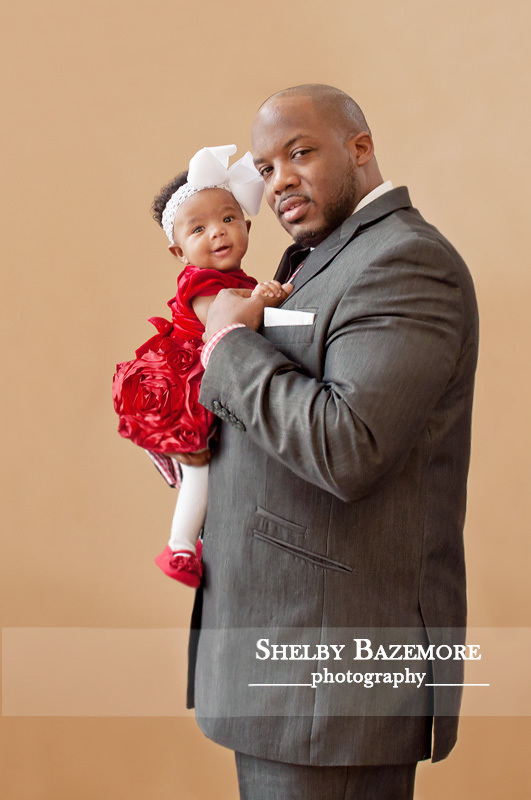 Always smiling, he’s his daddy’s boy, his mama’s sweet baby, and he and his sister love each other to pieces. 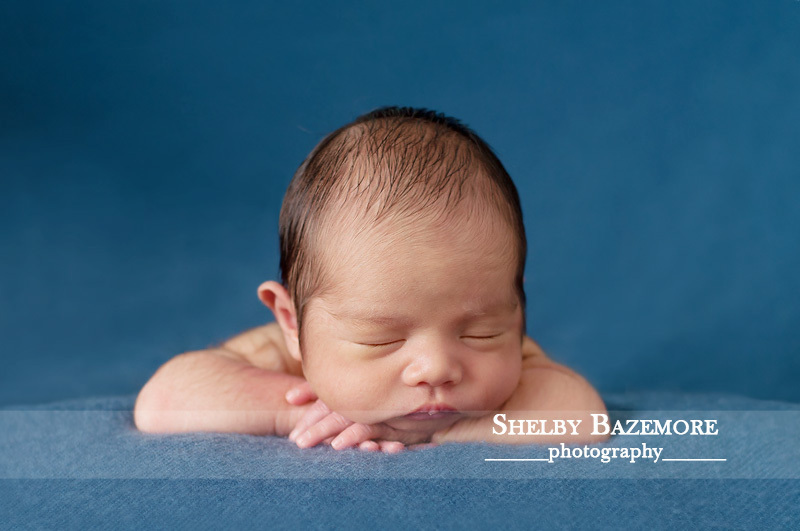 He has such a calm demeanor – watching, learning, and taking in everything. 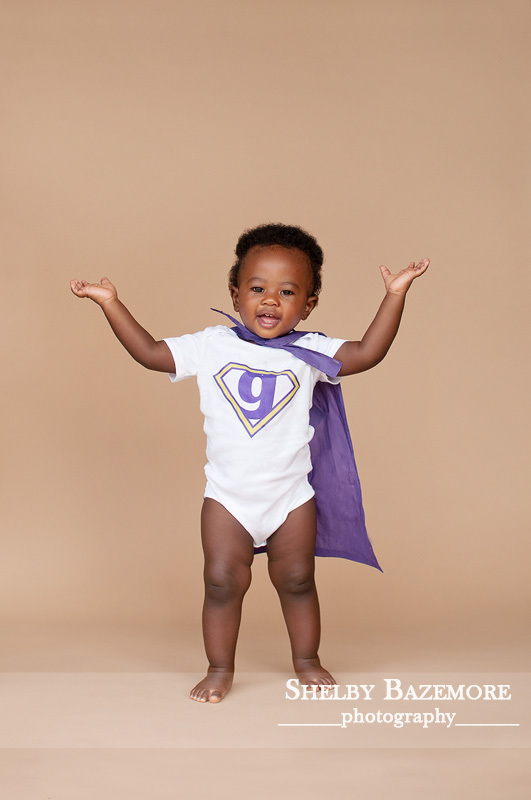 Super Baby G has the power to make anyone who meets him smile. 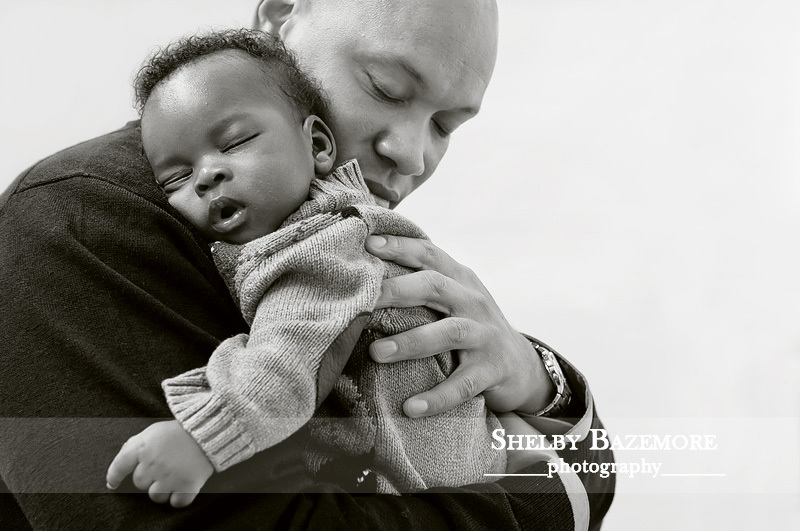 His session was perfect – There were lots of smiles, kisses, and he showed off his new walking and climbing skills. 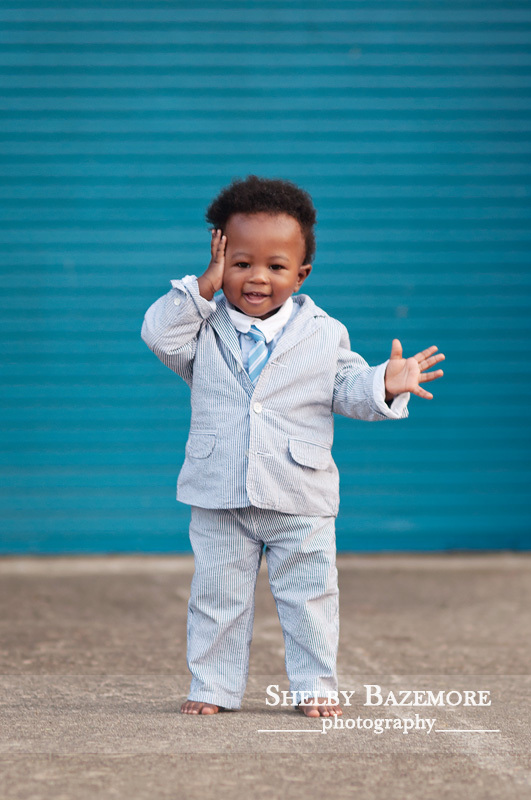 He went from Super Hero to super SWEET cake baby, to all cleaned and suited up and resembling a mini version of his daddy. 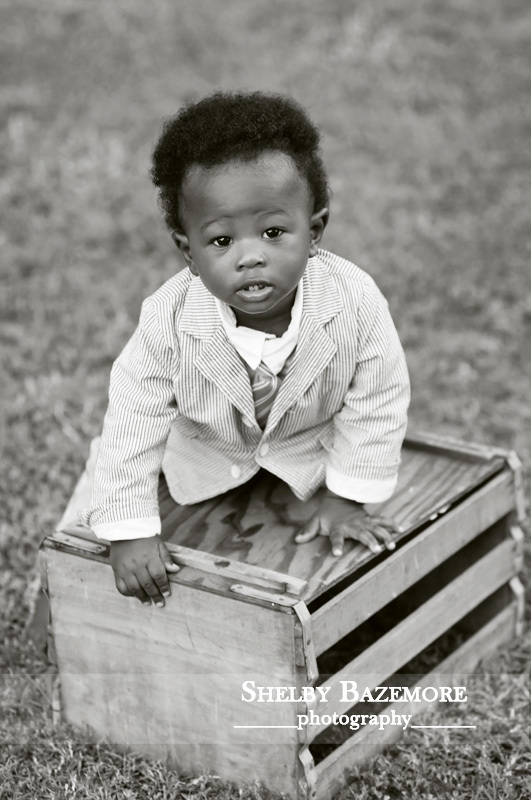 I still can’t believe that he’s 1! 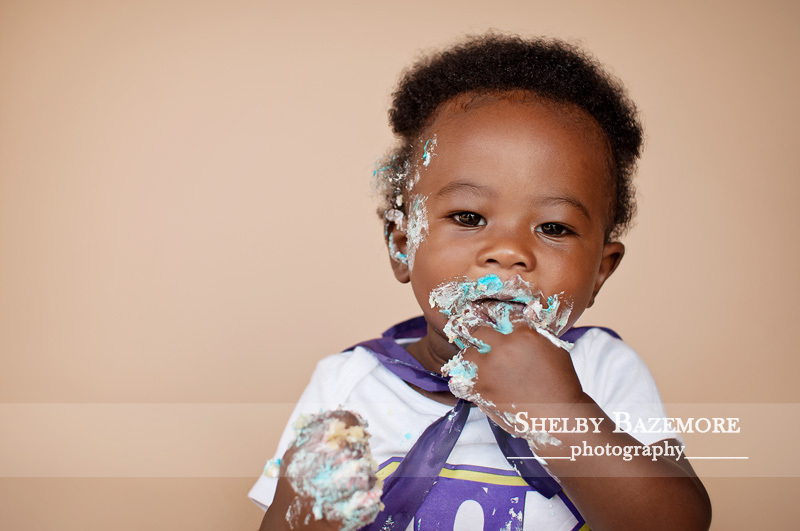 Happy Happy 1st Birthday Super Baby G! Mmmmuaahhh! 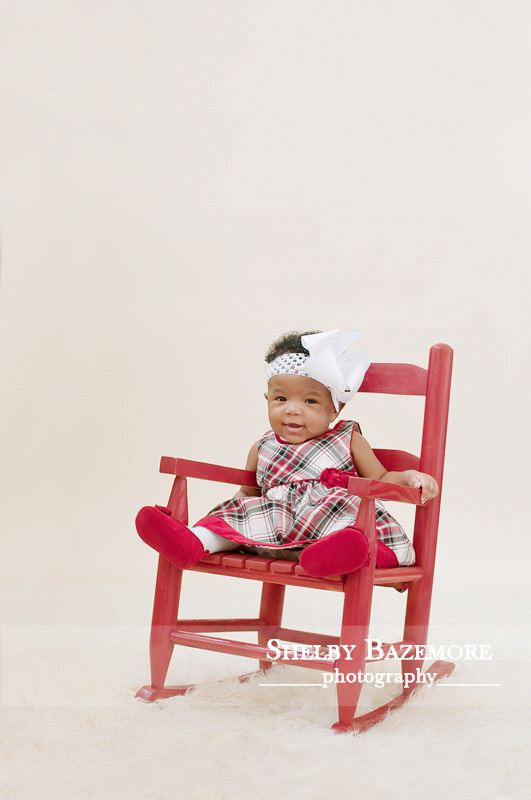 At just over 4 months old, Little Miss M was all smiles for her holiday photos! 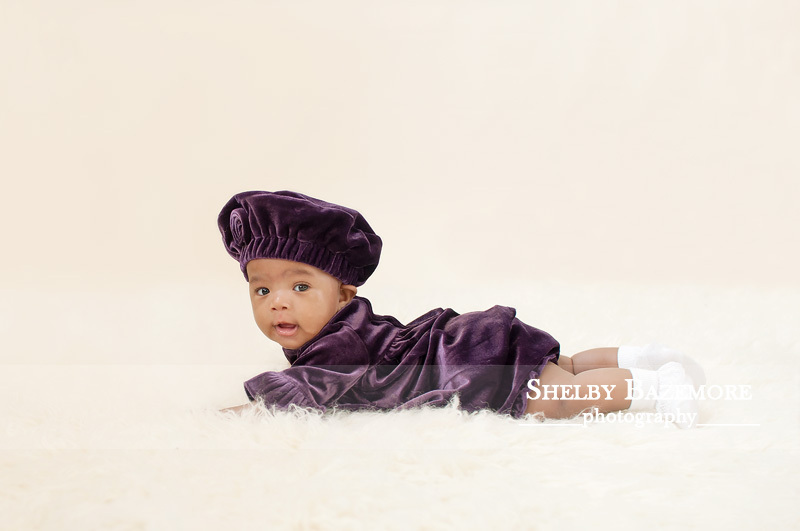 I was excited when her parents called me to do a session with this gorgeous little lady. 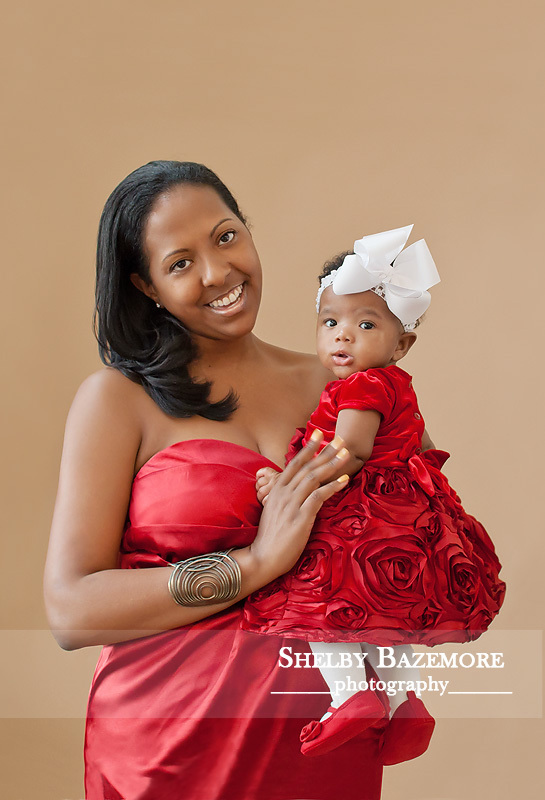 All of her smiles, laughs and watching her mom and dad as they sing songs, clap, and do baby talk with their little love made this an awesome session. I was loving all of the super cute outfits that mom and dad bought along for her and the fact that she didn’t even seem bothered by being changed numerous times. 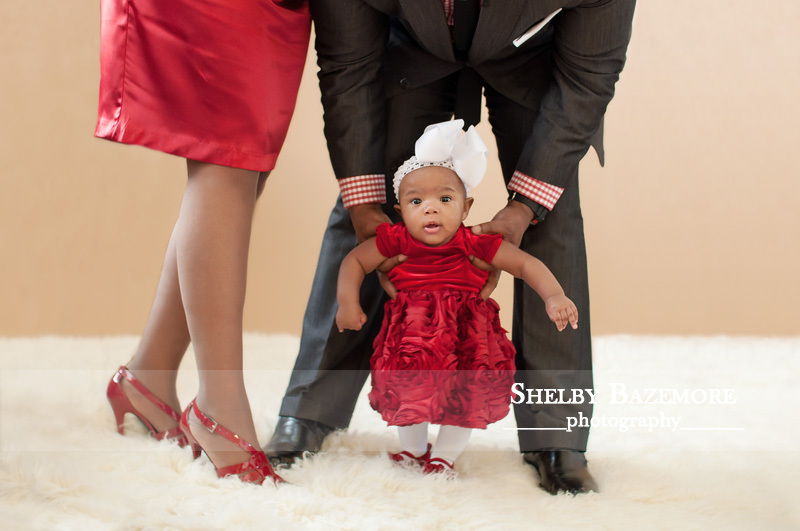 After photographing Little Miss M, it was time for her family to join her for a few shots of them together. They were SHARP I tell you – S.H.A.R.P!!! You must see for yourself! 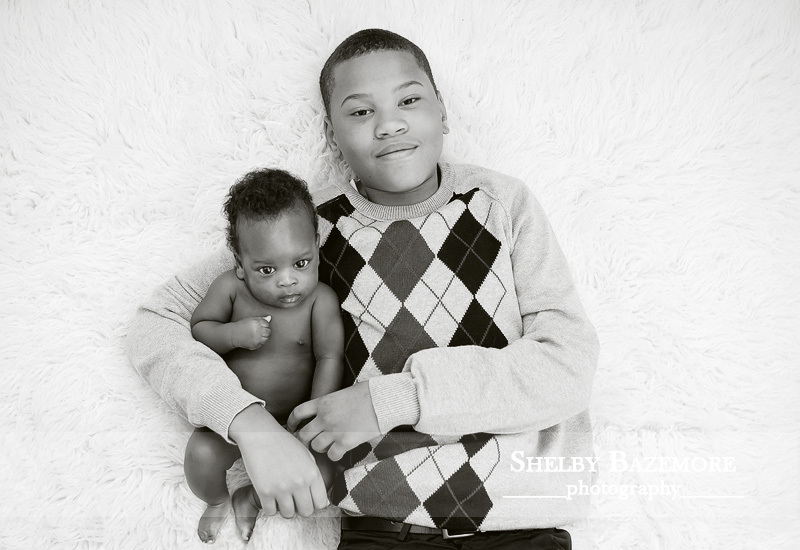 It was truly a pleasure photographing this beautiful family. 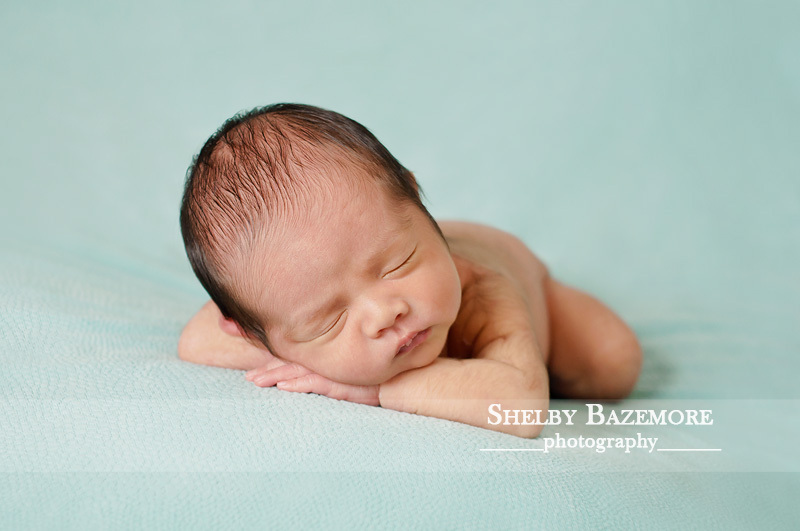 Meet Sweet Baby J. 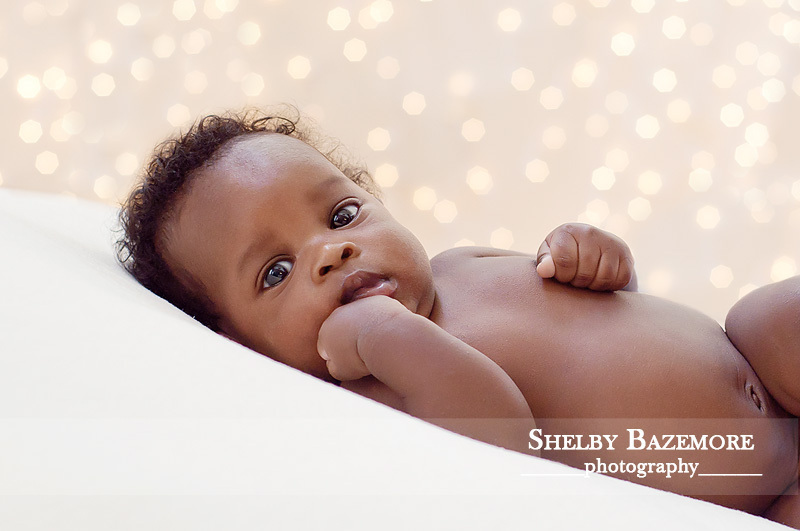 This little guy with those gorgeous bright eyes has a BIG name that means Strong and Mighty. I love it! At just 3 months he’s taking in the world around him and learning new things daily. 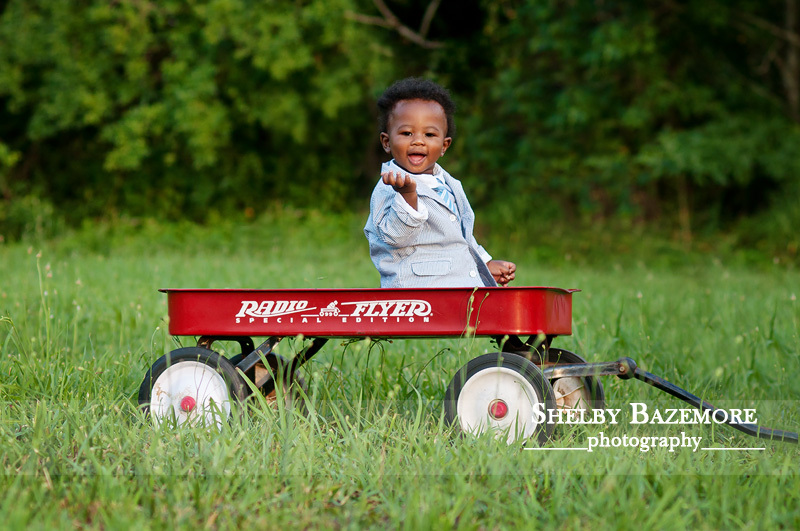 I truly enjoyed photographing this little guy and his beautiful family. 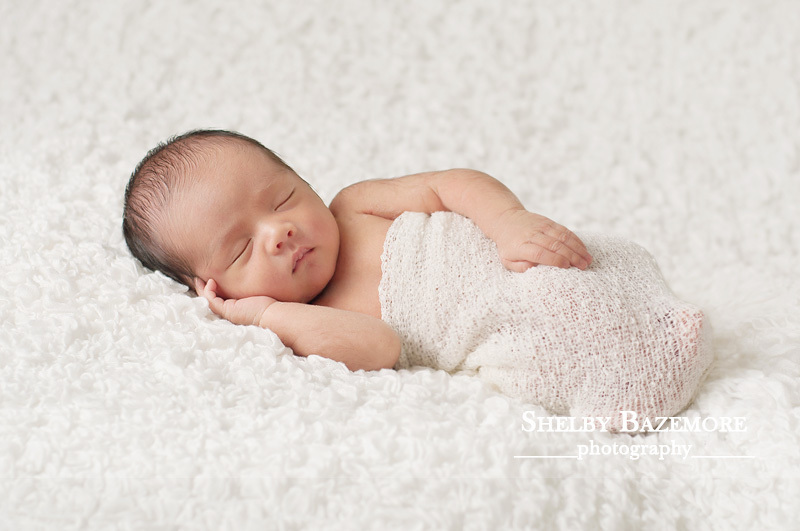 S and L I hope you enjoy your sneak peek!